Mike Mignola has said goodbye to his most famous creation (at least for now). Today, the final issue of Hellboy in Hell was released, and there’s no last triumph among its pages, no final gruelling battle. It simply ends. In an age of high-spectacle comic books, shocking events, and massive scale, there’s something incredibly powerful about that. If you’ve not been following along with Hellboy in Hell, Mike Mignola and Dave Stewart’s intermittently released 10 part miniseries has seen everyone’s favorite comic book demonic paranormal agent, unsurprisingly, in Hell. Hellboy died at the end of Hellboy: The Fury in 2011, permanently. Since then, he’s been wandering the afterlife, having adventures and fighting demons. 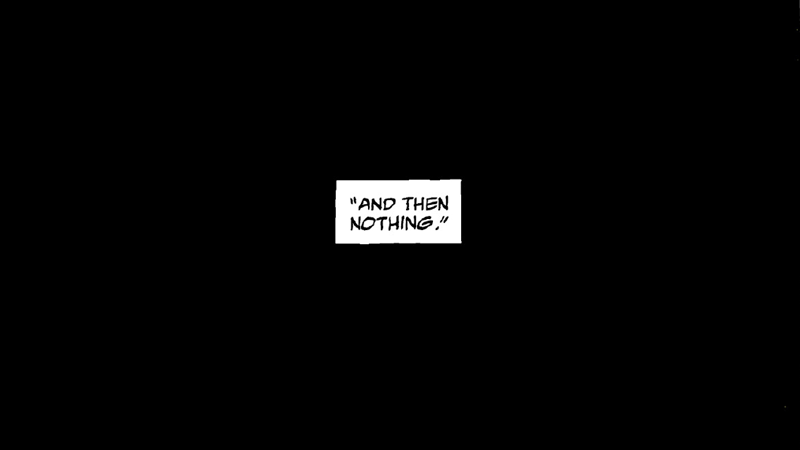 But above all, Hellboy in Hell has been about the acceptance of endings, that at some point it’s time to rest and for a story to come to its close. No matter what Hellboy does, no matter how he tries to see the afterlife as a new beginning, it’s just an extension of his end. His life as he knew it, for all its hardships, is done. He’s wasting away. There’s no going back. But for the most part, Hellboy spends much of Hellboy in Hell still doing what he always did—fighting demons andprotecting humanity from their dark plans. Mignola had, originally, intended to keep the series going, with one-off adventures of Hellboy roaming around the barren wastelands of Hell—alien and empty and bizarre, and unlike any sort of expected Hell, as Mignola stretches his immense artist talent—but when plans changed, there was a bit of a gear shift in Hellboy in Hell’s ethos. What if this wasn’t a fresh start? What happens when the job is done, and the lords of Hell are dead? Things end. When there is no more for Hellboy to do, he has to accept that it’s time to rest. In many ways the “real” ending of Hellboy in Hell came in its penultimate issue, in which Hellboy has a conversation with his demonic ex-wife (they got married, she tried to kill him on the honeymoon, it’s a long story) while pinned to a tree. It’s where the character speaks his last words, and it’s where he manages to accept some sort of resolution to his task. And that’s what we see in Hellboy in Hell #10. It’s simple, and stark, and despite some epic moments—empty vistas of the barren Hell, fully maximising Mignola’s trademark use of shadow to overwhelm the reader with a sense of emptiness, or a lavish sequence of pages of silent action as Hellboy destroys Beezelbub’s stronghold—it’s the issue’s uneventfulness that makes it melancholic and beautiful. There’s no fanfare, and the reader experiences these moments (the final boss fight of Hellboy’s quest if you will) alienated and distanced from the character. The events are recounted to us not by Hellboy, but a lone demon who witnessed the carnage from a distance, which emphasises the emptiness of it all. This isn’t some grand fight, it’s just... the end. There is no real meaning to it other than its finality. But this is not the end of the comic; instead Mignola takes both us and Hellboy on one last, silent trip throughout Hell, emptied of the damned souls there and the demons Hellboy has vanquished. There’s no words, just the art, and yet there’s something crushingly heartbreaking about Hellboy cutting a lonely figure in the vast barrenness of it all. But it’s that emotional resonance truly comes into the for in the final pages, in which Hellboy finds a strange little corner of Hell to settle down in, a corner that suspiciously looks like an English countryhouse. We see him wander inside, no sounds or words (save for narration calling back to his first appearance on Earth as a young demon), as Hellboy is engulfed in the light given by three geometric shapes, reaching his final rest. The shapes themselves have hugely symbolic meaning for Hellboy fans—and they perfectly summarise the beauty of this ending. The shapes come from a short story Mignola wrote with his then-seven-year-old-daughter Katie called “The Magician and the Snake.” You can read the whole thing here on io9, by the way, and it’s definitely worth doing so. “The Magician and the Snake” was, like Hellboy in Hell, a mediation on accepting the end—the titular Magician is dying but accepts that his time is over (unlike his slithering companion), and passes happily knowing he was loved. The same can be said of Hellboy, except that his end is not death. He’s already been through that. Instead, it’s something not many superheroes really get in comics these days: long, lonesome rest. There could always be more Hellboy—in fact, there will be, as Dark Horse carries on with the Hellboy and the BRPD prequel series exploring the character’s early days. But in the here and now, a comic book icon has laid his hero to rest. Despite the ambiguity of it, all the interpretations that you can wring out of these final pages, there’s a sense of permanence here in a way that is rarely tangibly felt in comics, where there is always another story to tell, another series to kick off, another death to undo. Sometimes, things just end. No explosions, no heroic words, no final huzzah. For a story that has focused on accepting the inevitability of the capital-E-End, it’s perfect that Mike Mignola says goodbye to Hellboy with the sound of silence.